SATURDAY UPDATE: Lincoln Dews and Karla Gilbert have one foot in the door of the plane to Nicaragua, after claiming respective victories in the men’s and women’s technical course race on Day One of the Australian SUP Titles. 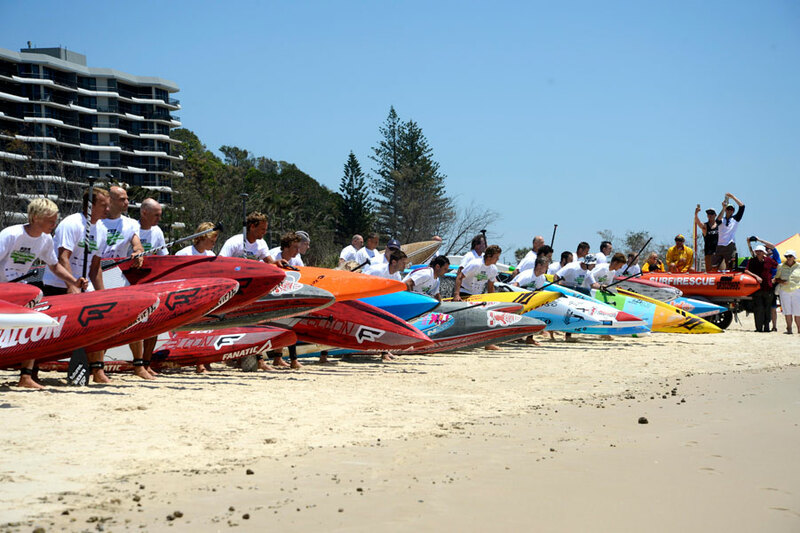 Conditions were rather dismal at Currumbin, which lies on Queensland’s paddling mecca of the Gold Coast, with strong onshore winds making the 5km course tricky for the country’s best paddlers. Lincoln battled the whole way with his Lahui Kai teammate Kelly Margetts before snagging a wave and pulling away in the dying stages. 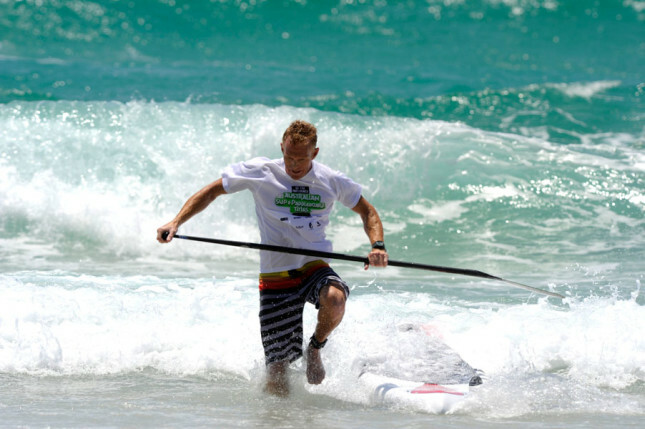 Kelly came home second while Beau O’Brian was just 12 seconds further back. Our official BOP Dark Horse pick Toby Cracknell took a very respectable 4th, while another New South Welshman, Andy Davies, rounded out the top five. As you can see from the photos below, today was hard work… Tomorrow (Sunday) sees the distance race, which was planned as a downwinder but the wind gods had other ideas and so now the race looks like it might be a long, hard grind out in the ocean. One thing’s for sure though: Whoever gets a ticket to Nicaragua for the mighty Team Australia will have clearly earned it. 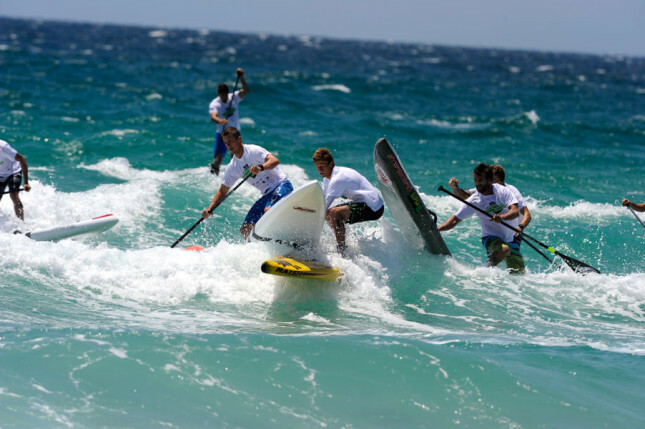 This weekend’s national championship features almost all of the country’s finest paddlers, who had to qualify through the various State Titles that were held earlier in the year. 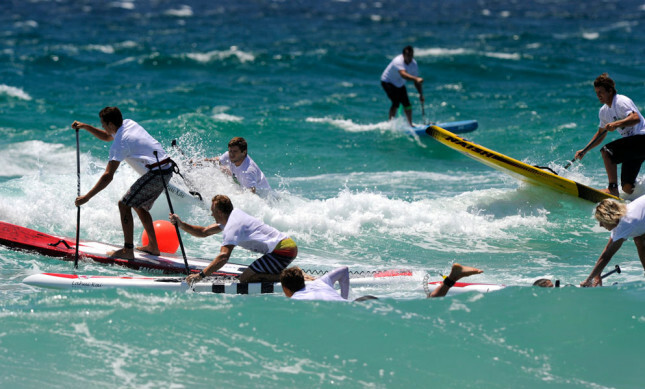 The winners will help selectors decide who gets to fly the Aussie flag at the 2014 ISA World Stand Up Paddle and Paddleboard Championship. 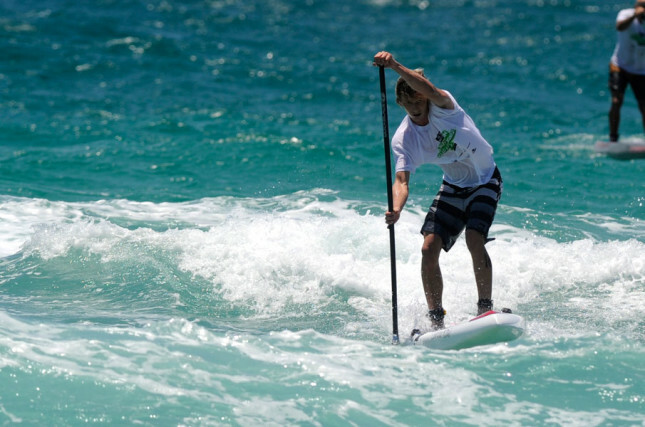 SUNDAY UPDATE: Jake Jensen has just taken out the Distance Race on Day Two of the Australian SUP Titles, narrowly defeating fellow Currumbin local Beau O’Brian to give the Team Australia selectors the luxury problem of which international elite paddlers to pick for Nicaragua 2014. There won’t be much trouble on the women’s side though, with Karla Gilbert winning today’s race ahead of Angie Jackson, making it a clean sweep for the former Ironwoman Queen. Today’s win was a sweet ending to the weekend for Jake, who was one of the hot favourites in yesterday’s Course Race, only to get caught up in the chaos and carnage and finish well down the order. It wasn’t an easy victory though; after a back-and-forth duel the entire race, Beau took a 50 meter lead into the final turning buoy at the end of the ocean leg. 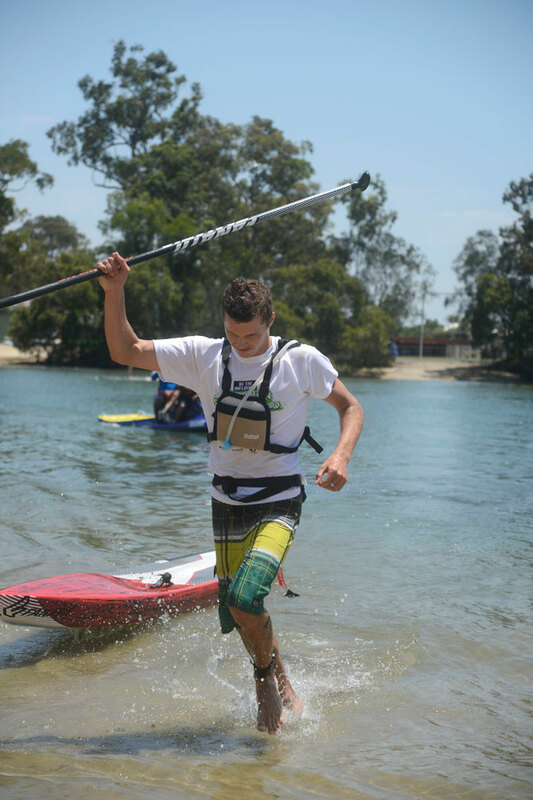 However coming into the final 1km flat-water stretch of the race along Currumbin Creek, Jake caught a little bump and milked it all the way past Beau, before holding him off to the line. That means Lincoln Dews, Jake Jensen and Karla Gilbert have put their hands up for selection for a spot on Team Australia at next year’s ISA World Champs. However there were also strong performances from Beau O’Brian and Kelly Margetts, while world beaters Travis Grant and Jamie Mitchell were absent. That should give selectors plenty to think about, with the lineup for Team Oz expected to come in the next month or so. No matter what happens though, Australia clearly has plenty of talent and will almost certainly start as hot favourites in Nicaragua next May.